Leading Manufacturer of edible oil refinery plant from Dhuri. We are reckoned amongst the most trusted name engaged in offering a superior quality range of Edible Oil Refinery. 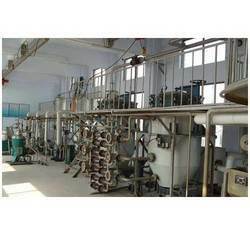 It is a unique combination of machinery to refine the edible oil. Available in different capacities such as 5-TPD, 10-TPD, 20-TPD and 30-TPD.